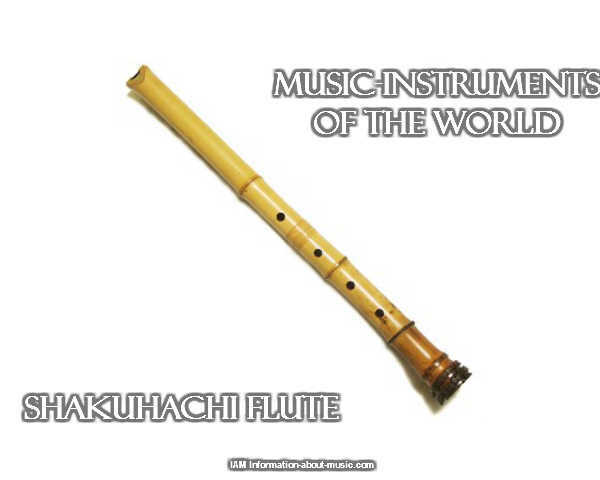 The Shakuhachi Flute is definitely one of the most popular musical instruments that people love to have in their homes and learn to play in Japan. 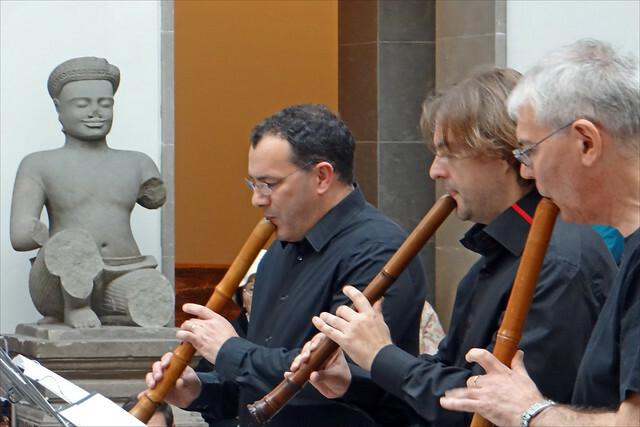 According to musical history, the Shakuhachi flute has been traced back as far as ancient Egypt and is thought to have migrated through India and China before being brought back to Japan by monks who were studying abroad in China during the 6th century. Even though Shakuhachi Flutes look different from other flutes of the world and it looks very simple, remember that it can be difficult to learn how to play. Be patient with yourself if you want to become proficient with this instrument. Your practice and work will be well worth it because the sound of a Shakuhachi is very unique and rewarding. If you are interested in learning to play a Shakuhachi flute one option is to try to teach yourself. Yes, it is possible for someone to learn to play the Shakuhachi flute in their own homes like learning guitar and piano. If you don’t have time to spare for formal lessons, even those taken at home, teaching yourself the flute may be a good option. Fortunately, there are tons of resources that you can pick to gain knowledge and learning. If you don’t have time to buy musical books at the bookstore then you can browse and download instructions or guidelines from the internet. In fact, there are a lot of flute packages these days that can be purchased online that come with comprehensive instructions on how to play the flute. Obviously taking flute lessons from an experienced player and teacher is definitely much better, just to make sure that you are learning the instrument properly and correctly. A certified and professional flute teacher can show you exactly the proper technique when it comes to playing the Shakuhachi Flute. There are many flute teachers out there however if you want to learn fast and easy make sure to think about the basic things before taking their lessons: see if they are certified and if they have been teaching flute for a while now. Have they been working long enough to be known as one of the best teachers out there? Check with their previous students and get their feedback. Are they affordable or worth spending your money and time with? And lastly, do you feel comfortable learning with them? Good luck and have fun learning to play the Shakuhachi flute! Tom Budko is a fan of Shakuhachi Flutes. A traditional Japanese bamboo flute which has been used in Zen Buddhism for centuries as a tool for meditation and learning to be fully aware of one’s breath. These days Japanese bamboo flutes or Shakuhachi flutes are used by a lot of practitioners of Zen Buddhism and meditation as well as for playing Jazz, Classical, Japanese folk music and improvisation. The soothing sound of the Japanese bamboo flute or Shakuhachi helps guide us, breath by breath, into a more relaxed and peaceful state of being, while gifting ourselves and others with the beauty of the unique sound. The Shakuhachi bamboo flute is made from the very bottom of a bamboo tree, but versions now exist in ABS and hardwoods. The name shakuhachi is derived from the term "isshaku hassun" meaning one shaku and eight sun (1.8 Japanese feet). Generally, the term shakuhachi refers to the standard size instrument, which is 54.5 cm in length, but it can also refer to many different sizes ranging from 1.3 - 2.5 shaku (39.4 - 75.7 cm) and longer. The shakuhachi is frequently made from the root portion of a thick-walled bamboo (known as madake in Japanese). If you see a Japanese bamboo flute you can see that it looks simple in appearance. But, did you know that it is very difficult to play? If played by a master this bamboo flute can create amazing, subtle, sensual music - prized as being perfect for meditation and relaxation. It's beautiful, soulful sound is wonderful to listen to when you are taking a good rest or are relaxing or getting ready for sleep. If you are into Zen then having a Japanese bamboo flute can help you with your focus. The soothing sounds that the bamboo flute make create a calm feeling. Did you know that The Zen flute came from China to Japan sometime in the 6th century? The instrument was then adopted by a sect of Zen Buddhist monks around the 15th century. This fact definitely explains the bamboo flutes long relationship with martial arts. If you are looking for an instrument for your energetic child to learn, look no further. The Shakuhachi will help calm your child's soul and give them focus and concentration. Imagine if your child took up the bamboo flute as one of their hobbies. Not only it is safe but at the same time your children will be musically inclined and be calmer and more focused because of their daily practice. Another good thing about bamboo flutes is that you can buy them cheaply or you can make them at home. If you are going to make a homemade bamboo flute just make sure to have the right guidelines and information. You need to know the proper measurements, the holes and the exact length and weight of a good bamboo flute which you can find online. Get yourself a bamboo flute and have soothing and relaxing sounds anytime you want in your own home! Tom Budko is a fan of Shakuhachi Flutes. A traditional Japanese bamboo flute which has been used in Zen Buddhism for centuries as a tool for meditation and learning to be fully aware of one's breath.